I am looking to connect with those who may want to get into wine production, or those who may know people that want to. With a Ph.D. in Laser Optics, Tom has skills in analyzing, developing and perfecting systems, skills which he also brought to the wine industry. In 1969 Dr. Cottrell got into the wine industry in Napa Valley, founding Cuvaison Winery and co-founding Pine Ridge Winery, the 1979 start of his winery consulting. He created improved guidelines for winery wastewater management that became the “industry standard” for the United States. In 1982, Dr. Cottrell became Cornell's first Professor of Enology, to guide the improvement and development of New York wineries and wines. In the late ‘80’s Tom took production and sales at Chalk Hill Winery in Sonoma County from 14,000 cases to 60,000 cases per year. Later he took Sakonnet Vineyards in Rhode Island from 12,000 cases to 35,000 cases per year. He developed “The Cottrell Rule” for sulfur dioxide use. 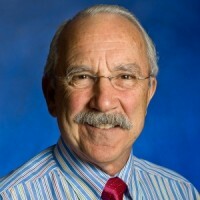 Dr. Cottrell has given over 170 lectures, written over 31 articles for wine trade magazines, judged in over 70 wine competitions and managed 15 wine U. Tom has been member of the ASEV since 1970, and served the Eastern Section as Secretary, and as a Director.